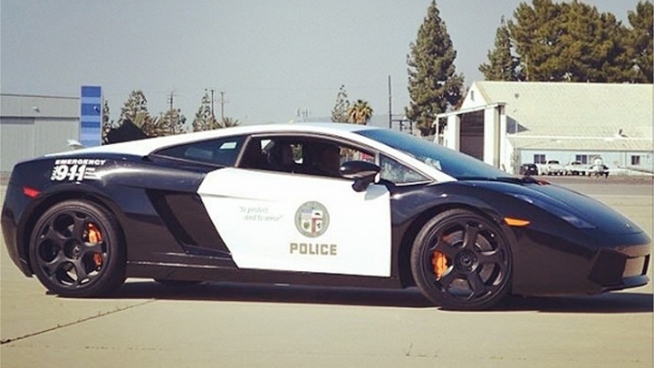 LAPD Adds a Lamborghini Gallardo to Fleet! The Los Angeles Police Department received a Lamborghini Gallardo as a charitable donation from a wealthy Los Angeles Telecom executive. The car was given a black and white paint job and will be put to good use during special functions, PR events, and the LAPD feels like displaying a little flash. The Gallardo may get its first public showing at the Los Angeles County Air Show; The car has it’s own website and instagram feed, which has been getting heavy traffic as of late. The car and new owners are quite happy so far.